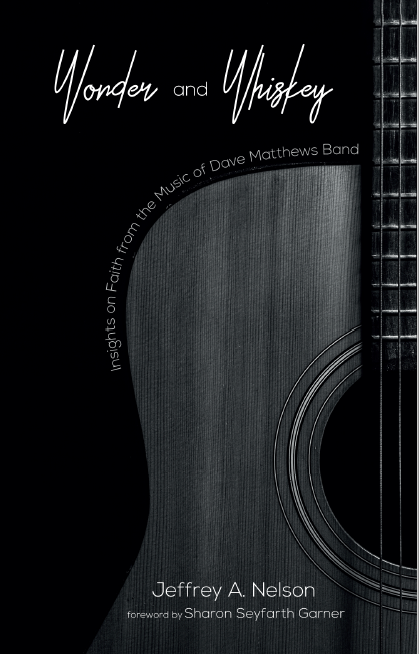 Below is an excerpt from Wonder and Whiskey: Insights on Faith from the Music of Dave Matthews Band. The song “Eh Hee” is a single that Matthews released on September 4, 2007. He played all the instruments for it, and an accompanying video was released the same day. One of the refrains is a chant based in the music of the San tribe of South Africa, which inspired Matthews to write the song. After the opening chant, the first words in English seem to be an acknowledgement of the various religious traditions found all over the world, and the different ways they name and conceptualize God. However, there are also many ways that we either name or carry out evil, big and small, some of which we own ourselves but much more that we blame on other people or entities. These opening lines are not a judgment on religious practice or belief; rather, they are a reminder of the diversity of belief that people hold. While this song does not seem to take issue with belief in general, it does zero in on certain forms that insist on their own interpretation of the world as absolute. Such a tight holding of belief without nuance, without allowing new experience or information to allow one’s view to evolve and change, can lead to stunted personal growth, as well as become hurtful to others. And as the study cited earlier indicates, belief in a world with very clear delineations of right and wrong by some religious communities is becoming less and less convincing to many due to the wealth of knowledge we have at our fingertips. “Eh Hee” describes a person disoriented by reality. There’s so much going on that he finds it difficult to make sense of it or to keep up. At times, he can approach it with humor, but even then it takes a great deal of willpower to walk or to crawl forward; to carry on despite the massive amount of uncertainty around him. Holding onto a faith that things can improve or that we can rely on forms of support and guidance both seen and unseen can be difficult when such confusion seems so ever-present and disruptive. People work with several definitions of the word “faith,” two of which we’ll briefly discuss. The first definition equates it to a set of beliefs one assents to intellectually. A synonym for this concept of faith might be “creed.” That is, we may talk about “what my faith tells me” about God, humanity, prayer, how to live, and so on. This definition of faith is the kind that “Eh Hee” cautions against, because it can veer into destructive behavior by its adherents if gripped too tightly. We come to our own faith-as-creed in different ways. We may base it on what we were taught at a young age, which may or may not have evolved as we’ve grown older (and this itself may have multiple causes behind it). We may hold to a certain faith-as-creed less because we’re personally invested in it, and more to continue enjoying acceptance with certain social circles or to avoid family conflict. Or our faith-as-creed might be more dynamic and changing, informed by new experiences and helping us grow and understand the world, while we are also trying to understand what we believe ourselves. A second possible way to think about faith is in terms of trust. This type goes beyond what one believes, translating that belief into action. We may encounter quite a bit of confusion over the course of our day, between responsibilities to work or family; problems related to relationships, health, or finances; or keeping up with what is happening in our community, country, or world. Taking even one further step forward, trusting that things can be better and that one can face the problems and opportunities ahead, can require a lot of energy. Even when parts of our faith-as-creed waver or have seemed to fail, our faith-as-trust may help us to endure. Faith-as-trust helps us take steps forward. Mind you, faith-as-creed also has the power to do this. It has the capacity to remind us of many beautiful things about life, about hope, about how to strive for peace and how to love others, about our own belovedness as people and connection to the rest of an equally beloved creation. Faith-as-creed can provide grounding and spiritual nourishment. But our days may bring events that faith-as-creed couldn’t have accounted for on its own, and those times bring questions as to how we may reconcile or apply our faith-as-creed with what has happened. We may ask how it still brings us hope and grounding, or whether something about our faith-as-creed needs to shift in response. Faith-as-creed certainly can be life-giving, if one allows it to move and change and react as we do. And it often takes faith-as-trust for that to happen.